Is it time to refresh your pillows? 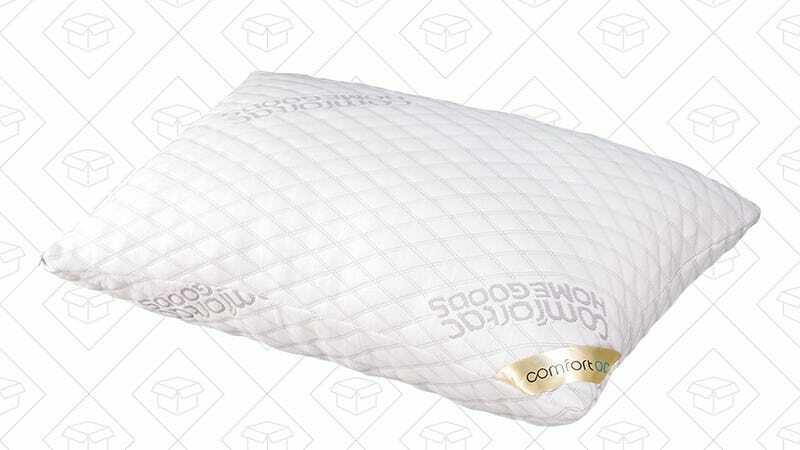 This Comfortac memory foam pillow is just $28 for a queen or $30 for a king, today only. Choose from a removable cotton or bamboo cover, so you can toss it in the wash without having to wash the whole bulky pillow. The insides are made out of shredded memory foam for a pillow that’s not as dense as traditional memory foam pillows. This is a Gold Box deal, which means it will only last through the end of the day or until they sell out, so don’t sleep on it.